Wax Melts, Wax Cubes or Wax Tarts on the mind? We’ve got you covered! 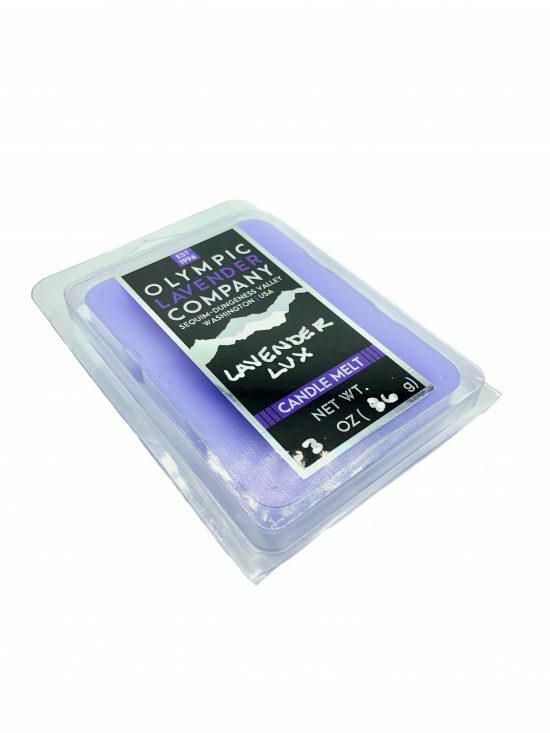 Our ‘Lavender Lux’ candle melts are hand poured from ultra refined natural food grade paraffin wax, and scented with a splash of our certified organic lavender essential oils and certified organic lavandin essential oils for a truly fragrant and beautiful aroma to fill your home with. Each pack comes with 6 cubes and plenty of burn time for any ocassion. 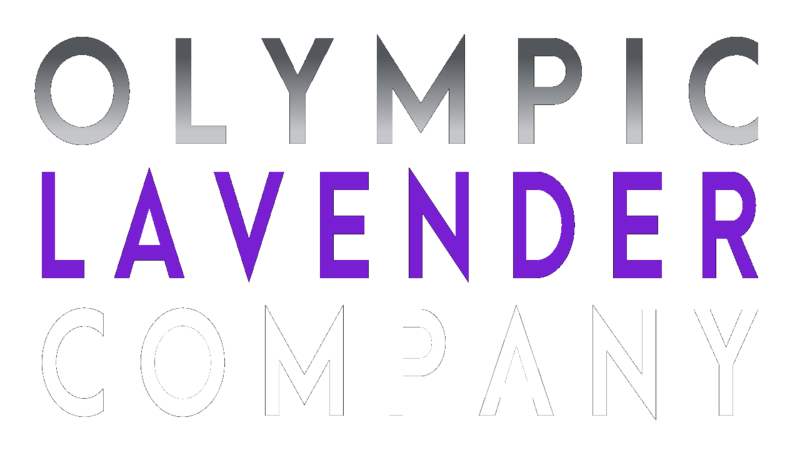 These lavender candle melts can work with any electric or non-electric wax warmer. Allergen Notice: Some components of this product may be produced on or near machinery that packages or stores items that may include soy, tree nuts, or other dairy based, nut based, and plant based ingredients and products. The information on this website is intended for educational purposes only. These statements have not been evaluated by the FDA. The information on this website is not intended to prevent, diagnose, treat or cure any disease. Please see a medical professional about any health concerns you have before use. Wax Melts, Wax Cubes or Wax Tarts on the mind? We've got you covered! 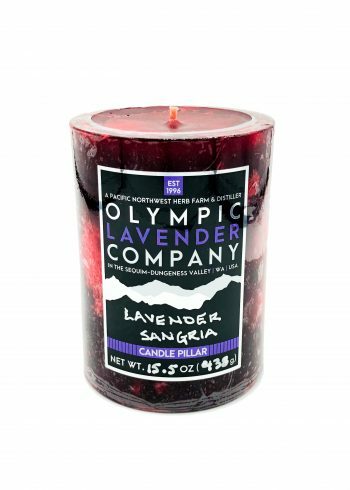 Our 'Sangria Lavender' candle melts are hand poured from ultra refined natural food grade paraffin wax, and scented with a splash of our certified organic lavender essential oils, certified organic lavandin essential oils, and a heavenly citrus blend that takes you away to Spain and the fresh scent of an afternoon on the beach. Each pack comes with 6 cubes and plenty of burn time for any occasion. 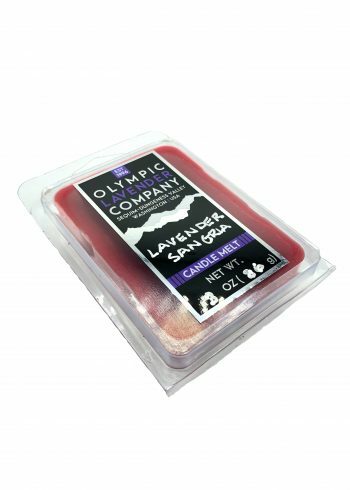 These lavender candle melts will work with most electric or non-electric wax warmer. 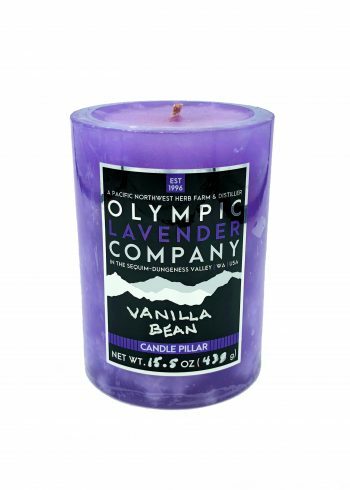 Our 'Vanilla Lavender' 6" candle pillars are hand poured from ultra refined natural food grade paraffin wax, and scented with a splash of our certified organic lavender essential oils, certified organic lavandin essential oils, and a heavenly blend that takes the aroma of Vanilla to a whole new level for these melts.. The mottled design, rich color, and opacity layer of each artisan pillar candle is unique and custom as it is handcrafted weekly. Remembering to trim your cotton wick every couple hours while burning your candle will make for a perfect burning candle every time. 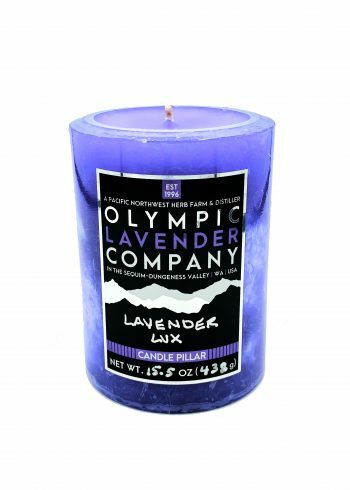 Our 'Lavender Lux' 6" pillar candles are hand poured from ultra refined natural food grade paraffin wax, and scented with a splash of our certified organic lavender essential oils and certified organic lavandin essential oils. The mottled design, rich color, and opacity layer of each artisan pillar candle is unique and custom as it is handcrafted weekly. Remembering to trim your cotton wick every couple hours while burning your candle will make for a perfect burning candle every time. Our 'Sangria Lavender' 6" pillars candles are hand poured from ultra refined natural food grade paraffin wax, and scented with a splash of our certified organic lavender essential oils, certified organic lavandin essential oils, and a heavenly citrus blend that takes you away to Spain and the fresh scent of an afternoon drink on the beach. The mottled design, rich color, and opacity layer of each artisan pillar candle is unique and custom as it is handcrafted weekly. Remembering to trim your cotton wick every couple hours while burning your candle will make for a perfect burning candle every time.